In these six lessons, I will talk about the importance of practicing using different styles of picking, and I will show you a few more really useful exercises that will help you get your alternate picking technique up to par. In this series of lessons, Anders Mouridsen will take your bending up a level. First we'll get a brief overview and talk about a bending tone, then we'll explore using double bends in your leads. Bending up on one string and down on another is next; we'll then learn about wide bends. We'll combine all three bending licks together and improvise, and conclude with practice exercises. In these rock soloing technique lessons, we'll be teaching you some essential bends and vibrato technique that will aid you in your lead playing. You'll be learning four types of bends here: up and down bends, pre-bends, bend and choke, and bending one string but not the other. Next we'll show you some vibrato technique, then put all of it together. 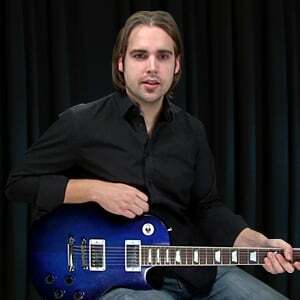 In this next tutorial on rock soloing, Anders Mouridsen will teach you bending and vibrato techniques. We'll start with an overview introducing the techniques and a suggested tone for them. Then you'll learn basic bending, your first bending lick, and do some jamming with it. We'll do the same using our vibrato technique, then combine both techniques. We'll end with some easy practice exercises. In this tutorial, Anders Mouridsen will teach several techniques to apply to our soloing. 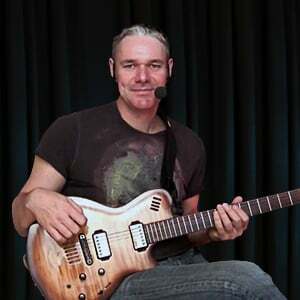 Anders will introduce the concepts then dial in a tone for our lessons; then take a look at dynamic picking. We'll follow with an important element of expression: grace notes. After that we'll learn more on bending along with slides, then we'll add vibrato to the bends. We'll cap things off by applying these tools to our go-to and chord tone licks. 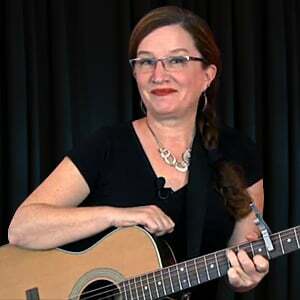 In this set of lessons, Caren Armstrong will teach basic Travis picking technique. We'll start with an overview of Travis picking, then get into basic terminology and orientation. Next up is the important hand position, the we'll detail the basic picking pattern and counting the rhythm. A simple exercise follows; then we'll review some reminders of what not to do. Then we'll play some examples in 3 keys, and end with increasing your speed. This fingerstyle instrumental uses skills you've learned in Acoustic Fingerpicking, Step-by-Step. Enjoy learning this piece - and don't worry - you don't have to sing a single note! This instrumental song project uses a single fingerpicking pattern, and some chord variations There are no other fancy moves, which makes this a great piece for the Advanced Beginner to Intermediate student. Mastering a Song Project is a great way to solidify your skills and build your repertoire. In this segment, we'll bring all your hard work and solid skills to work in learning to play 3 full songs, complete with fancy ornamentations and arrangements to learn. You'll learn to play The Water is Wide, John Riley, and Lord Franklin's Lament. Prepare to add these beauties to your repertoire. Welcome to Acoustic Fingerpicking Step-by-Step, Level 2! In the Fingerpicker's Goldmine featured in this tutorial, you'll find over a dozen ornaments and fancy tricks you can play to add new life and complexity to your song arrangements. Impress your friends with these awesome tricks of the trade. Let's get fancy! Let's ramp it up yet again by taking fingerpicking patterns in 4/4 time, and combining them to create interesting song arrangements. Learn a secret tone-mellowing technique, and how to play the song Cindy. Then get ready for Acoustic Fingerpicking Step-by-Step, Level 2. Congrats! Now that you have mastered the 4-Step Pattern and full measure variations in 4/4 time, let's take a look at new patterns in 3/4 time and 6/8 time. Along the way, you'll learn to play several classic songs, including Star of the County Down, Do You Love an Apple, and a beautiful arrangement of Scarborough Fair with an impressive fancy figure you can play! Now that you have mastered the 4-Step Pattern, let's take things to the next level by adding variations of that pattern to create full-measure classic patterns. Along the way, you'll learn to play several classic songs, including Thyme, Blow Ye Winds of the Morning, and Make Me a Pallet on Your Floor. Get ready to ramp things up! 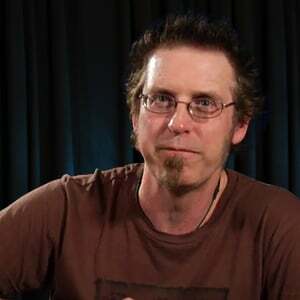 In this tutorial I'll teach you the first level of acoustic fingerpicking. We'll get started with a basic four-step pattern, then learn how to change chords with it. We'll then do some 2 and 3 chord practice drills followed by two songs. Then it's time for drills to build your speed and play another song. Next we'll learn different styles, play another song, and finish with more drills - and a final song! In this set of lessons, Anders Mouridsen will teach you hammer-ons and pull-offs. First we'll talk about what they are, then dial-in a good tone. Then we'll learn how to play both hammer-ons and pull-offs, and then combine the two techniques. Then it's time to learn a lick, and after that you'll learn to improvise with it. To conclude, we'll teach you some easy practice exercises. If you're looking to be more expressive and dynamic in your lead playing, then learning about hammer-ons and pull-offs is a great technique to get under your fingers. The basic concept is fairly simple: a hammer-on is hammering your finger onto the fret without picking it, creating a tone. The pull-off is the equal and opposite. We'll work on building finger strength, using the pentatonic and dorian scale, playing legato, using open strings, and how to "pull-hammer-slide". In this tutorial I'll show you how much cool stuff you can do with harmonics on the acoustic guitar. We're gonna break down the open harmonics and how to use them to play scales, melodies, and chords. I'll show you how to do the classic “cascading chords” and much more. This is one of those techniques that is nearly impossible to figure out just from listening, but after watching this tutorial you'll know everything you need to go learn some more harmonic tricks on your own! In this tutorial we're going to explore another lead technique that is very common in rock lead playing. This is the technique where you hit the strings with your thumb along with your pick to create a screeching harmonic. It's called "pinch harmonics", and I'm sure you'll recognize the sound of it. Some players use pinch harmonics in a very calculated and controlled way while others use it more loosely. In this tutorial we'll explore the basic technique and the different approaches in some fun and rockin' examples! 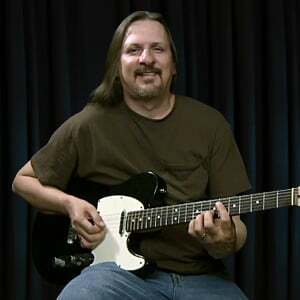 In this short tutorial, Neal Walter will explain two types of harmonics for you: pinch and natural. Pinch harmonics are often used in rock soloing, and natural harmonics are often used to give color. Neal will break down how to approach these harmonics so you can add them to your expressive arsenal. Hybrid picking is a hybrid of using a pick and using the fingers to get a snappy, chicken picking sound. This series of lessons will get you started with solid techniques that will get your hybrid picking fundamentals down. Palm muting is an essential technique for every rock guitarist, and is simple to learn! This tutorial will walk you through the mechanics of how to use palm muting with power and barre chords, accents, and more. 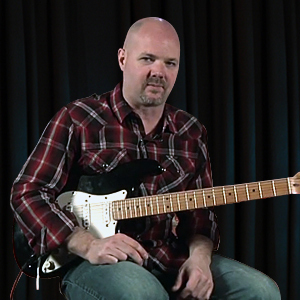 In this set of lessons, Anders Mouridsen will take your palm muting to the next level. 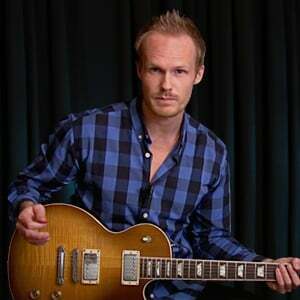 Anders will introduce the concepts of right hand control, then dial in a suitable tone. After that we'll look at where and when to mute, followed by how to apply and release your palm. Palm muting arpeggios is up next, then we'll learn how to palm mute bass notes. We'll put it all into a practice tune, and finish up with some easy practice exercises. 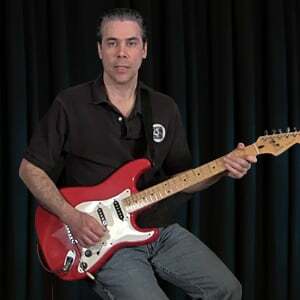 This series of lessons will teach the user how to combine barre, power and open chords along with palm muting and arpeggiation to create chord progressions that rock. Slapping is a technique that is most often thought of in the context of bass playing- but you can do it on guitar too! In this set of four guitar lessons you'll be introduced to slapping techniques on guitar; how to use your thumb to get the slap in the lower notes, and fingers to get that pop in the upper notes. We'll use a backing track to help you get in the groove. Using a bottleneck slide is an expressive technique often used in blues. In this tutorial, we'll look at basic slide technique, open D tuning and standard tuning, some Duane Allman approaches, how to play slow blues slide, and pedal steel 3rds. We'll conclude by jamming along with a backing track. In this tutorial we'll answer questions about the tonal differences between using your fingers instead of a pick. We'll also look at the bottleneck slide, then how to use a capo. All these are important components of getting great blues tone and style. 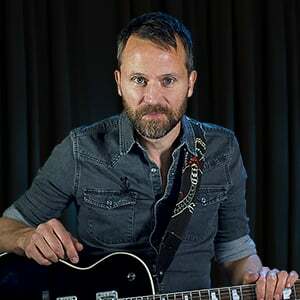 Strumming is essential to playing the guitar, and in this tutorial Anders Mouridsen will teach you some basic techniques and patterns to give you a solid strumming foundation. We'll start with holding the pick and right hand/arm technique for optimum strumming. Next we'll examine a basic 8th note strumming pattern and a basic 16th note pattern in 4/4 time, followed by a pattern in 3/4. Anders will conclude with a synopsis of everything he taught. You'll be strumming in no time! In this set of rhythm lessons, Anders Mouridsen is going to examine strumming in rock. We'll talk about strumming and get an appropriate tone, then look at palm muting and strumming with both eighth and sixteenth notes. Then we'll learn about ghost strums, and apply everything to two practice tunes. We'll finish with a lesson on how to derive strum patterns from the drums. Let's start with the basics of strumming, and then teach you to strum in a variety of keys, tempos, and time signatures. Along the way, you'll learn to play 10 songs! A solid foundation in strumming basics is essential to playing folk, rock, pop, blues, and more. Get started right here! When you are strumming in 3/4 time, the moves and skills are very much the same as what you are already comfortable with, but the feel is quite different. Discover how 3/4 time gives a song a "dance-like" feel, and learn to play the song 'With You I Am Whole'. In this technique tutorial, Caren Armstrong will get you focused on your strumming. Caren will start by look the right hand with basic 1/8th notes, then she'll spice it up in the next lesson. Caren will explain her concept of "zoning" in the following lesson, and get into some syncopation. Next up is a look at "extreme zoning", then a look at damping (or muting). To finish, Caren will take all the elements and mix them up. Let's learn to understand the nuts and bolts that lie behind the strumming rhythm we have been working on so far in this course. Applying this new info to what you can already do will vastly expand your strumming grooves and options! You'll be amazed at how easy, and how very cool this is going to be. This tutorial on the Boom-Chick Strumming pattern was inspired by our site to show you how useful it is. In the first four lessons I show you the pattern using the 1, 4, and 5 chord in the key of A, followed by a progression in the next lesson. I change to a 16th note pattern with a D chord in the fifth lesson, and then finish up with a D progression using the 16th note strumming pattern. I will start by introducing you to boom chick fingerpicking, and in the four lessons that follow, I will teach you a little song I wrote just for this tutorial. We will start with the thumb, then add some chord hits, and ultimately we will learn the melody and put it all together. Let's dive in! In this series of lessons I will teach you a nice way to play unaccompanied blues on just the acoustic guitar. 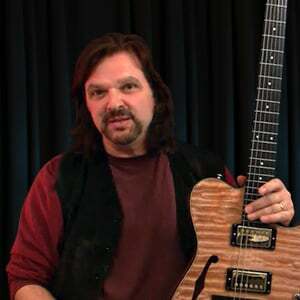 I will show you what to play over the I chord, the IV chord and the V chord, and I'll show you a cool turnaround that you can add to your personal library of turnaround licks. Let's go! In this second tutorial in my Boom Chick Blues series, we will build upon what we learned in the previous tutorial and take it to the next level. We will add a few licks to the mix, and play around with the chords a bit more. Watch out for the blazing fast ending lick! The very last lesson contains a slowed down performance to make it easier to follow. In this tutorial, Eric Barnett gives you the essentials of sweep picking, to get you started on this rock and metal guitar technique. We'll go through what sweep picking is, the right and left hand functions, and detailed exercises on both and how to put them together. This tutorial will be very beginner friendly. Over the course of seven lessons I will teach you the basic tapping technique, and we'll practice it over a few backing tracks. Let's go! In this tutorial consisting of 9 lessons, I will get you started with learning your fretboard horizontally, so you know what notes to pick for your tapping licks. We'll start with scales and then move to arpeggios. As usual, there are 4 examples with backing tracks so you can put theory into practice. In this tutorial, I will teach you how to tap harmonics, and we will work on three fairly advanced tapping examples over backing tracks. At the end of the tutorial, I included slower versions of the backing tracks that gradually increase in tempo, so you can take your time and build speed. In this tutorial, we will leave triad arpeggios behind for a bit, and focus on licks where the notes are closer together, as well as tap sliding. Are you curious about touch and tapping on guitar? This unusual technique can produce some beautiful, distinct sounding chords and melodies. 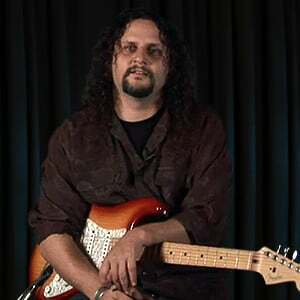 In this tutorial, HP Kruesi will delve into this fascinating approach in the style of Stanley Jordan using both your left and right hands on the neck. HP will get you started by showing you the basics, put the technique into use in the context of jazz and blues styles, and some exercises. Here I'll be teaching you some more essentials on touch technique in the style of Stanley Jordan. I'll be talking briefly about touch tapping, then we'll work from the beginning up to some more advanced techniques and ideas in four parts. At the end we'll put it all together into a classical style song. In this series of lessons, Sharon Aguilar will teach you about the legato technique called trills. 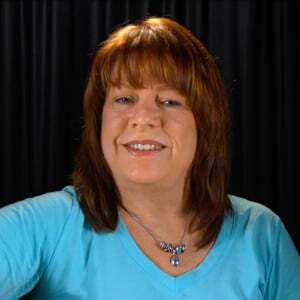 Sharon will introduce the concept, then go over the basics of trills. Next we'll look at using different intervals for your trills, then how to use different rhythms. A couple of exercises are next, first using combinations of intervals on one string, then vertically across strings using the A minor pentatonic scale. The use of vibrato is an effect that is unique to all string instruments and all the more effective when used on the guitar. In blues playing, the use of vibrato is key and each blues player has his or her own vibrato. When used wisely, it can make even the simplest phrases and solos sound very effective. In this tutorial we are going to take a look at a few different types of vibrato that are both artist specific and usable by any guitarist at any level. Let's get started! In these lessons I will introduce you to some really useful techniques like bending, vibrato and hammer-ons and pull-offs, so that you can start working on your feel. Great feel doesn't come from these techniques alone, but learning them will help you get in touch with that side of blues playing.